Capella University’s Professional Development for Educators (PDE) courses are a set of twenty-two online competency-based courses designed to enable teachers to effectively integrate technology into their instructional practices. Courses teach the skills, knowledge and application of strategies teachers need to keep them and their classroom on top of the latest advances in educational technology. Each course has a continuing education clock hours and an optional graduate credit version. Course titles range from those that are explicitly focused on technology (Digital Citizenship, Enhancing Instruction with Technology, and Classroom Device Management) to those that focus on general theory and practice of 21st century education (Collaborative Learning Environments, Understanding Competency Based Instruction, and Instructional Coaching). 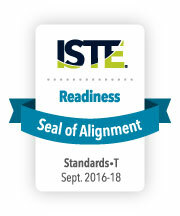 Capella University’s Professional Development Courses for Digital Age Classrooms successfully underwent the International Society for Technology in Education (ISTE) Seal of Alignment review for Readiness. Reviewers determined that these courses, designed to enable teachers to effectively integrate technology into their instructional practices, help build strong foundational skills needed to support the ISTE Standards for Teachers. "The Capella courses are clean, consistent and easy to navigate. The competency-based courses are structured to provide maximum flexibility offering participants multiple paths through the learning and assessment experiences and significant opportunities for personalization and customization."